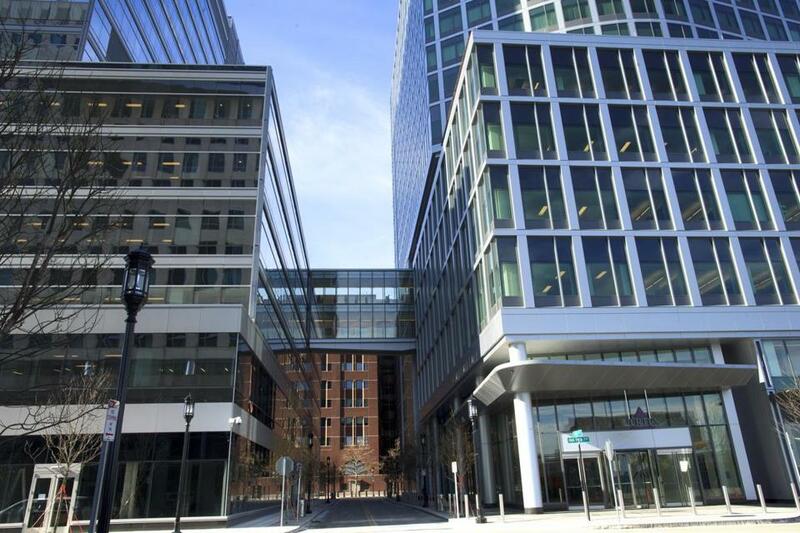 Vertex Pharmaceuticals is based in Boston’s Seaport District. A high-ranking executive at Vertex Pharmaceuticals was fired Wednesday for “personal behavior” that violated the drug company’s code of conduct and values, Vertex said in a statement issued after financial markets closed. Ian F. Smith, the Boston biotech’s chief operating officer and interim chief financial officer, was terminated, effective immediately, following a “prompt and comprehensive investigation” conducted with the help of the law firm WilmerHale. Vertex did not specify what Smith did wrong. Paul Silva, senior vice president and the company’s corporate controller and chief accounting officer since 2008, was appointed interim chief financial officer. The ouster comes at a sensitive time for Vertex, one of the biggest life science companies in Massachusetts. It’s best known for developing treatments for cystic fibrosis, a rare genetic illness that attacks the lungs and other organs. In November, the publicly traded company reported encouraging data from late-stage trials of a new medicine for cystic fibrosis that combines three compounds. Data from a second Vertex triple-combination drug in late-stage trials are due early this year. Vertex plans to seek approval from the Food and Drug Administration for the combination drug that yields the best results by mid-year. Smith joined Vertex in 2001 and held a variety of executive positions. From 1999 to 2001, he was a partner in the Life Science and Technology Practice Group of Ernst & Young LLP. He has served on the boards of several life sciences companies, including Opthotech, Acorda Therapeutics, and Infinity Pharmaceuticals. Smith graduated from Manchester Metropolitan University in the United Kingdom, earning a bachelor’s degree, after majoring in accounting and finance. As was previously announced, Vertex will report its fourth-quarter and full-year financial results for 2018 after the markets close on Feb. 5.